Tennessee lawmakers are working on a bill that they believe would help support homeless and at-risk of being homeless students succeed in college. MTSU already has a system in place that they believe could benefit students across Tennessee. NASHVILLE, Tenn. (WTVF) — Students on a college campus come from diverse backgrounds. Some are athletes, others are scholars. Some are local, some travel from across the country to travel to their school. Some grew up surrounded by family, others have found themselves homeless leading into their college experience. “A lot of students are in classes with other students who are homeless and they don’t even know it. It’s not something that is very publicized by those students in those situations just because they don’t want to be treated any differently,” Becca Seul, associate director of MT One Stop at Middle Tennessee State University (MTSU), said. Seul wasn’t aware of how prominent of an issue homelessness was for college students until she met with a student more than 10 years ago. Seul started the “Next Step” program at MTSU in 2008 to help provide support and resources to students experiencing or at-risk of homelessness as well as those transitioning out of foster care. Seul served as a point-person for these students to help them with all facets of college that could be challenging for someone who is home-insecure, including FAFSA applications. “We have people in housing, we have people in financial aid, our student support services, our trio office, that if we call them and say we’ve got a Next Step student that needs x, y, and z, they know, this is what I need to do, and this is how I can help them,” Seul said. Over the past decade, the Next Step program has helped about 1,500 students, and 118 students are currently enrolled in the Next Step program, giving them access to resources, and giving them the ability to focus on their education rather than whether they have a place to sleep, and food to eat. “They’re overwhelmed with joy, excitement, I mean, everything you could imagine because they didn’t think they could come to school, much less get the aid they need, the housing that they need, get the food assistance that they need,” Seul said. While it was Seul who started the program with the help and support of her MTSU colleagues, it’s the MTSU and Murfreesboro communities that help the program thrive, donating money to the cause to help support the services, as well as donating food to the food bank. 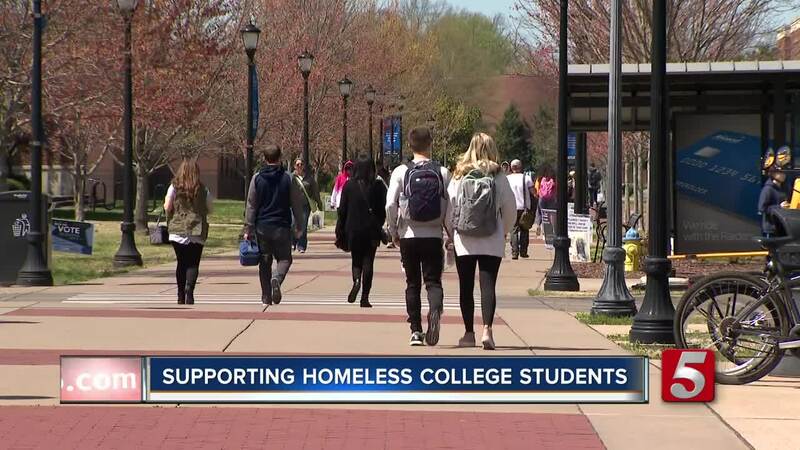 While the program has been a big success at MTSU, other schools don’t have programs in place to be as supportive to their homeless and at-risk student population, so Tennessee legislators are working to get a bill passed that would require a point-person at Tennessee universities to help these students, letting them know how to find resources, and giving them support. “It’s something that if it’s passed, we’re here to help other schools figure out how to do it,” Seul said. The bill has passed the Senate and is expected to be voted on in the House’s Education Committee on April 3rd.